An A5 Greeting Card, printed on 350gsm silk card. Inside left blank for your own message. Includes silver coloured envelope. 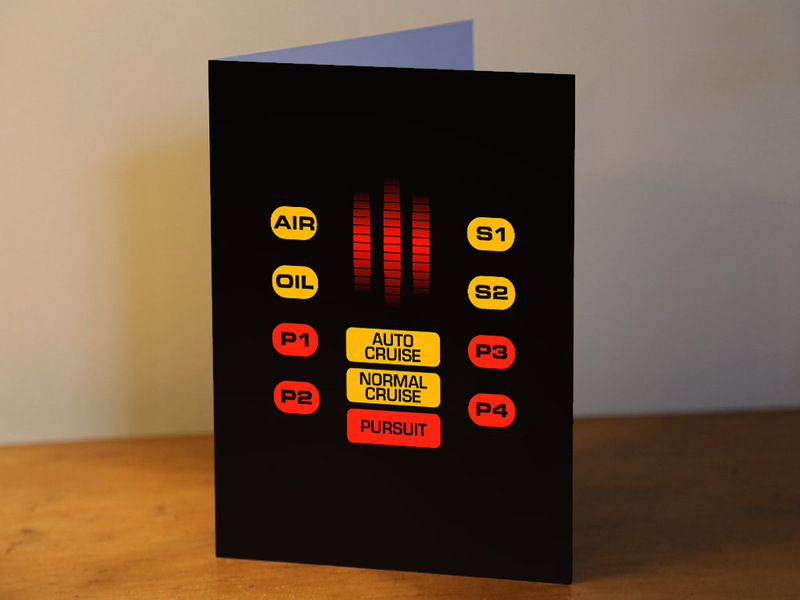 Inspired by the TV series Knight Rider from the franchise created by Glen A. Larson. The original Knight Rider series followed the adventures of Michael Knight, a modern-day crime fighter who uses a technologically advanced, artificially intelligent automobile K.I.T.T.